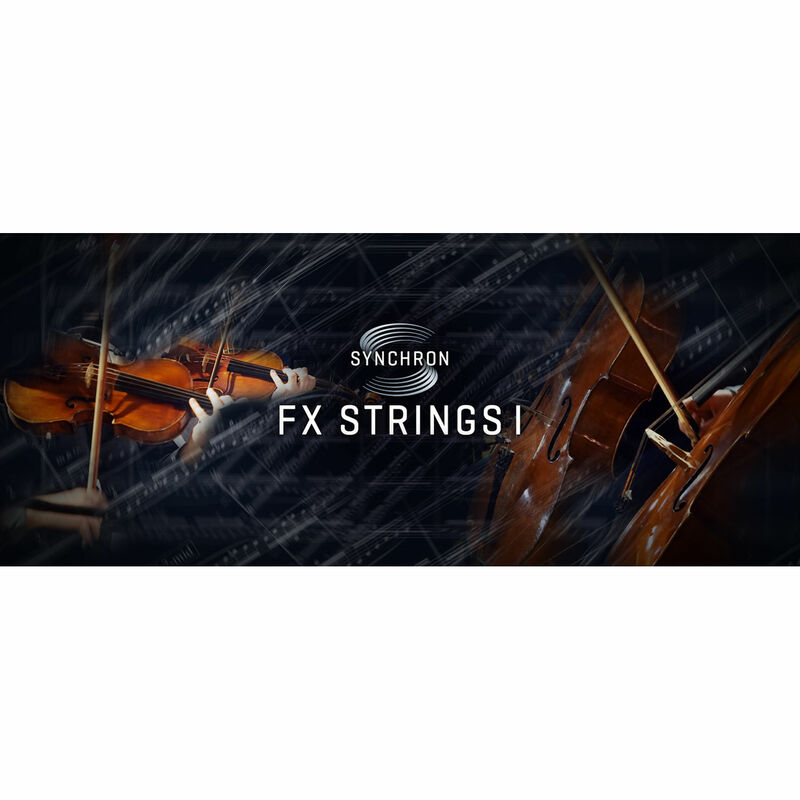 Recorded with the signature ambience of the Synchron Stage Vienna scoring stage, the Vienna Symphonic Library Synchron FX Strings I Standard Library is a virtual instrument with a library that casts aside conventions by capturing tonal and atonal strings textures expertly performed by the members of the Synchron Stage Orchestra, using alternative playing techniques. It provides musicians and arrangers with production-ready musical textures and loops, from breathy, spherical pads, to pulsating or even aggressive patterns and rhythms, ideal for orchestral and scoring applications or contemporary genres and styles, such as Ambient, Alternative, EDM, World, and more. 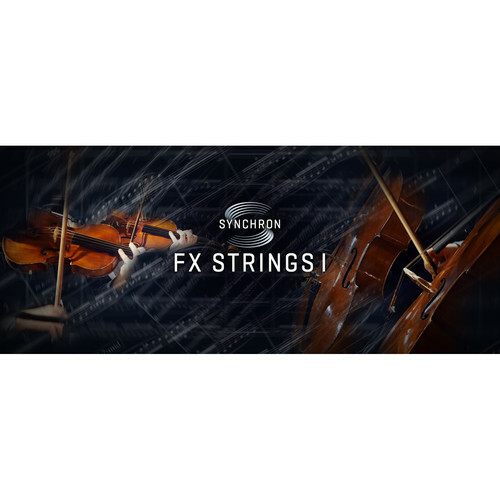 Synchron FX Strings I Standard Library is performed by a large, fifty-piece string ensemble divided in six sections including fourteen first violins, ten second violins, six first violas, six second violas, eight cellos, and six double basses. Each musician was recorded separately with a dedicated microphone and combined in a stereo panorama for a precise and perfectly in-tune symphonic string sound. Multiple microphone arrays enable you to create your individual string ensemble sound in stereo, using the included Synchron Player's full-fledged mixer. The library comprises a wide variety of timbres and articulations arranged in ten preset categories. These include glissandos, clusters, tremolos, pizzicato FX, rises & hits, spherical chord textures based on the so-called Alpha chord, and more. Three, preconfigured controllers allow you to adjust the bow style, velocity, and density in real time, great for building up tension by gradually blending basic with more complex variations of the same pattern. Note: Software requires a ViennaKey USB protection device or other USB eLicenser (available separately), if one is not already on the system. Intuitive access to articulations with three preconfigured real-time controllers: Bow Style (CC 1), Velocity (CC 2), Density (CC 3).